Nine years ago, I walked into an emergency room with very obvious signs of a concussion. Despite glaring symptoms, no one would even utter the word ‘concussion’. Doctors told me I had whiplash, which didn’t even come close to describing the traumatic brain injury diagnosis I was given six months later. This year, I walked into the same emergency room, with very obvious signs of a concussion. Despite nine years of brain injury awareness in the media, in hospitals, in schools and in sports, my experience was no different. What good is brain injury awareness if we don’t put it into practice? April 2017 marked nine years since I acquired my brain injury. I experience symptoms every day and it looks like they are here to stay. Like many others, I navigated the health care and education systems before brain injury awareness hit the mainstream. My family and I had to research and advocate for every bit of care I received. Even with a CT scan in hand, it was difficult to get doctors to believe, let alone treat my symptoms. This was before Sidney Crosby, NFL lawsuits and head injury protocols; the dark ages of brain injury. This year, I learned that we are still living in the dark ages. Last month, I was hit in the head with a locker by accident at work. When my symptoms continued to get worse instead of better, I went to the same emergency room I went to nine years ago. It didn’t even cross my mind that I would be treated exactly the same as I was back then, this was the new era of brain injury awareness, right? Wrong. There were three of us in the emergency room with concussion symptoms; the doctor barely looked at any of us and sent us on our way. I returned to my family doctor, who has seen me do this concussion dance with the health care system before, and was sent to another emergency room. The second ER doctor told me what I was experiencing was impossible and seemed shocked when I dared to ask for WSIB forms to be filled out. Despite the blurred vision, noise sensitivity, nausea and fatigue he put a question mark beside the concussion diagnosis on my papers. June is Brain Injury Awareness month in Canada and it’s a month I’m excited for and take pride in every year. Considering how prevalent concussions / brain injuries are, I think awareness is important for everyone, but awareness isn’t enough. Being aware is the first step but it is by no means the only step in preventing and responding to brain injuries. The next step is to put that awareness into action; this action is going to require effort and change by professionals and individuals. It’s easy to say we are aware and be done for the day but if we don’t put in this effort for people with brain injuries, awareness falls flat and nothing changes. The very people brain injury awareness is supposed to be helping are failed all over again- stuck in the dark ages of brain injury. 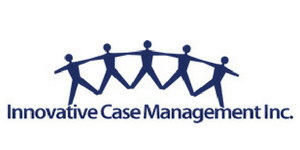 The other piece of brain injury awareness that requires action to be effective is prevention. Awareness that leads to policies such as concussion protocols are great (if they are put into action and enforced) but this doesn’t lead to a decrease in people sustaining brain injuries. Brain injury prevention is going to have to come from individual change; with the increase in brain injury awareness, we know that a hit to the head can have lifelong impacts. With that being said, there is no excuse for deliberately hitting someone in the head. Many brain injuries, especially sports-related brain injuries, are entirely preventable and occur due to individuals decisions. My brain injury stems from a youth athlete’s decision to use physical force instead of skill to win a basketball game. This is similar to Sidney Crosby, during the NHL playoffs he sustained another concussion at the hands of a player on the opposing team. It is very well known that Crosby has a history of concussions and another hit to the head could, at the very least, end his career. With the increase in brain injury awareness, we should be seeing a decrease in these types of injuries simply by individuals changing their behaviour. My hope for this Brain Injury Awareness Month is to move beyond awareness and towards action. This includes a decrease in the number of brain injuries and better outcomes for survivors. Volunteer Appreciation Week is just around the corner – and we at BIST have been using the month of April as an opportunity to congratulate the winners of our Volunteer of the Year Award: Christiane Kokko (Caregiver Category) and Rob Ashe (ABI Survivor / Thriver Category). Stay tuned next week when we announce the winner of ABI Ambassador Category! In the meantime, find out more about the hardworking members of our Brain Injury Awareness Month (BIAM) Committee below! Colleen said that just after committee chair Alex Piotti handed over a DVD of a BIAM event from fours years ago she ‘happened’ to find amongst her stuff. Take away: you know you’ve got a committed group of volunteers when members of the committee literally carry the history of the work with them. There are several BIST committees, and all of them are where work crucial to BIST happens, our major fundraising events such as Birdies for Brain Injury, the 5K Hero Run, Walk and Roll and the Mix and Mingle would be impossible without these volunteers. Simply put, without volunteer hours, BIST would not be where we are today. Enter the BIAM Committee, where some members such as Boyce (who was the founding chair of BIST in 2004) has been involved since 2000, before BIST existed. Throughout this time, the committee’s work has expanded from throwing Brainstock events at Nathan Phillips Square (check out none other than Mr. Ben Mulroney as our special guest in 2012) where members of the ABI community would gather, snag some swag and celebrate the strength of brain injury thrivers / survivors in the heart of Toronto. Committee member Tonya Flaming helped organize Brainstock events after joining the BIAM committee (because a colleague told her it was ‘fun’) in 2009. Jordan Assaraf, currently a BIST board member, has sat on the committee for three years. New-this-year members such as Celia Missios (also a board member), Matt Chung (a former Communications Committee member) are contributing new ideas and energy to the group, as is Kelly-Anne Rover who replaced her colleague and long-time BIAM Committee member Leslie Allen this winter. 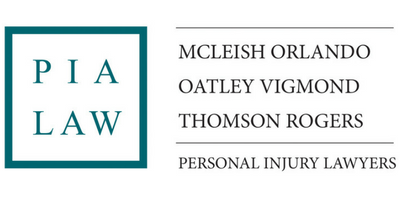 Joe Pileggi, director of client services at Thomson Rogers has been active on the BIAM committee for years. He and Thomson Rogers partner Ian Furlong ensure the committee has meeting space in the Thomson Rogers boardroom, including free coffee and doughnuts as a bonus. (Legal assistant Esther Wiik helps a lot with this part!) Joe is also responsible for giving the committee free access to professional design services through Lime Advertising for BIAM’s print materials. Super BIST volunteers Tonya Flaming and Frank Bruno at a TTC Brain Injury Awareness campaign in 2015. Members of the BIAM Committee at Brainstock in 2013, (bottom right) Ian Boyles wins BIST Volunteer of the Year award for his work on BIAM and the Communications committee in 2012. In 2014 and 2015, the committee, along with dedicated BIST members, went into the TTC during June to distribute brain injury awareness messages. Last year, the committee invested in ads in the TTC and held awareness booths in Toronto hospitals. The Ontario Brain Injury Association’s Advisory Council award, proudly displayed in the BIST office with #areyouaware material from previous years above. This focus is continuing in 2017, so be on the look out for brain injury awareness booths in Toronto hospitals in June, our booth at Pride Toronto and another great social media campaign! And thanks to all BIAM Committee Members (past and present) for their hard work! Meri Perra is the Communications and Support Coordinator at BIST – she feels very lucky that she gets to work with so many amazing people at her job – including this committee! What does brain injury ‘awareness’ mean anyway? June is brain injury awareness month and the fact that a focus is being put on this acquired disability is wonderful! I think it is great to have a time frame where a lifelong injury, such as brain injury, is put forward so that it is a little more prominent in people’s minds. So that we pay a little more attention to the hardships and struggles, the success stories, the services rendered, the caregivers and the survivors. It is a time to listen to and respect one another, a time to discover and learn new things, a time to share and a time to make new and important connections. But I think the question is how far beyond the already existing brain injury community does any awareness go? When it comes to an issue such as brain injury, just how aware can one be without understanding? The answer, in my opinion, is that you can’t be. 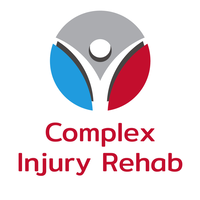 So when I refer to the above ‘community’ I am referring to brain injury survivors, the dedicated caregivers, the service providers, rehab workers, therapists, etc. Unless you participate, unless you have an open mind, unless you ask questions and listen to the answers, are you truly aware? Just because you know of brain injury, doesn’t mean you know what brain injury is. I have lived with a brain injury for many years and I have had people tell me that they understand ABI, but then turn around and question my challenges when it comes to keeping up a quick pace, why I have difficulties retaining certain information, or why I would require certain accommodations. I am also a caregiver to my mom who recently acquired a brain injury. I recall a time when someone said they knew of her injury yet couldn’t understand why she needed my assistance with communicating. Awareness is great, but it unfortunately does not mean understanding. In fairness, I suppose brain injury understanding month does not sound, or flow, as well. But that is really what it needs to be – understanding – because awareness doesn’t quite live up to what is trying to be accomplished by having this month dedicated to brain injury. So I challenge you to ask questions, to listen, to try and empathize and to keep an open mind. Let’s grow together. June is Brain Injury Awareness Month and this year, BIST is trying something different. 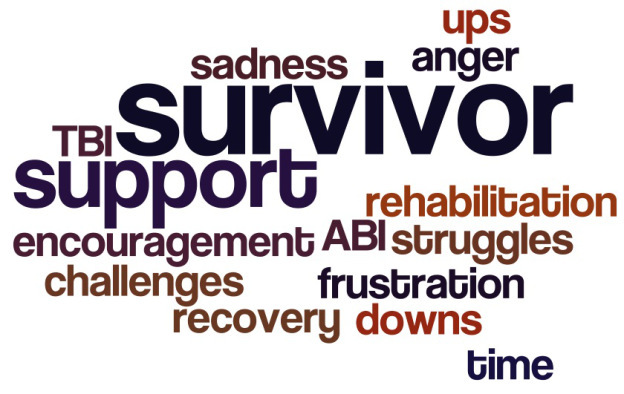 Every day in June, check out our Facebook and Twitter for ABI stats, survivor stories, videos, quizzes, polls are more! Share, re-tweet and spread the message of ABI awareness! For you Twitter-heads, we’re starting an #areyouaware hashtag beginning June 1st. Tweet your own #areyouaware messages, re-tweet our’s and let the hashtags and ABI awareness flow. We’ve launched a new site! At AreYouAware.ca, you can read some amazing survivor stories from BIST members here, and learn (more) about ABI here! We’ve got buttons! On Wednesday, June 11, you’ll find us out bright and early at 8 a.m. handing out ‘areyouaware’ buttons and information stickers at Union, Bloor/Yonge, Finch and Yorkdale subway stations. 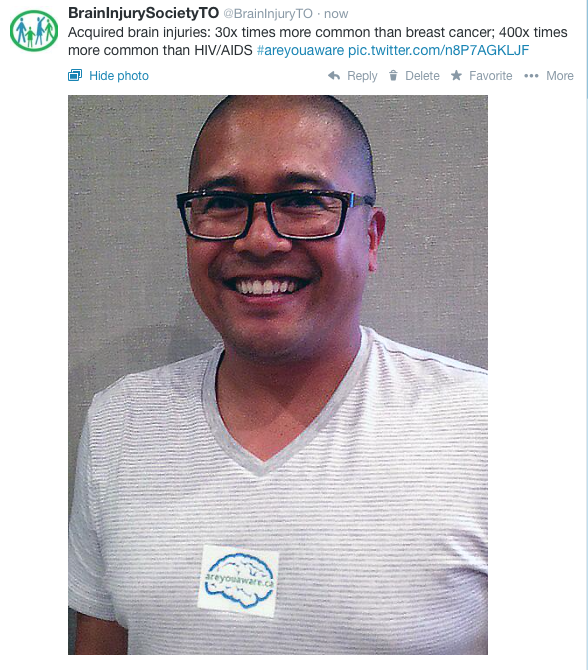 If you’ve got an ‘areyouaware’ button, take a selfie and post on Twitter or Facebook! Remember the #areyouaware hashtag! Instead of a Nathan Phillips Square celebration this year, BIST is holding a karaoke party on Monday, July 28th to celebrate our 10th anniversary. There will be great food, and a live performance by Cougar Bait. Contact Kat at connections@bist.ca or 416-830-1485 for more info. 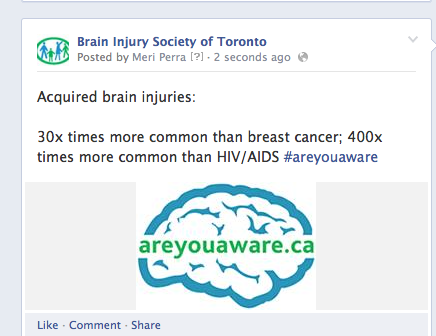 Let’s spread the #areyouaware message this Brain Injury Awareness Month!